Business mortgage provider has access to the UK's leading commercial mortgage lenders so we can provide rates lower than your typical high street lender. 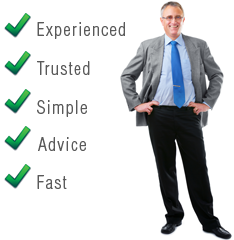 Our advisors provide guidance on your commercial mortgage in order to secure you the best terms. A commercial mortgage offers an alternative to the long term leases available on commercial premises. As well as providing a business asset that will usually increase in value, you have the option to sell your premises whenever you wish rather than being tied into a lease agreement. In most cases the interest on a commercial mortgage is tax deductible. If you are considering a commercial mortgage to provide finance for the operation of your business rather than actually buying a property, the lender will look to refinance your current commercial mortgage to raise the finance you are seeking. Alternatively the may arrange an equity line to lend you the difference between the current value of your commercial property and the value you are seeking. There are generally two types of interest available when applying for a commercial mortgage, fixed rate and variable rate. A fixed rate commercial mortgage sets an interest rate that is applicable for the life time or a fixed period of the commercial mortgage. If it is set for a fixed period, following that period it is likely to revert to the second type of interest rate available, variable. With a variable rate commercial mortgage the rate is set against the Bank of England base rate for the lifetime of the commercial mortgage. This type of commercial mortgage interest will consist of the base rate plus a pre-determined premium set out by the lender. The interest rate will be adjusted at pre-determined periods by the lender. As with many terms of your commercial mortgage the adjustment periods and the premium issued by the lender are negotiable and your advisor will help secure the terms best for your business. A fixed rate commercial mortgage is a good option when you feel the base rate is likely to rise, and a variable rate commercial mortgage is better when you feel the base rate is in flux and may drop significantly. Use our online quote form below to get your best commercial mortgage rates.